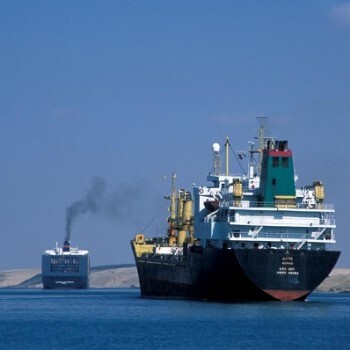 Over the past few years, the global shipping industry has suffered from a degree of overcapacity. Freight companies had increased their capacity at a time when the global economy was suffering a downturn. What does 2014 have in store for the sector in terms of overall outlook and emerging trends? The majority of analysts expect the issue of overcapacity to continue, at least for the first part of the year. The container shipping sector is likely to see an increase in demand towards the end of the year, which will be helped by improvements in the world economy. This should start to see some of the spare capacity removed and make shipping routes more profitable. Overall rates have seen a downturn in recent years and this year they look set to remain at the lower end. On the other side of the industry, the dry bulk sector and the shipping of pallets is forecast to undergo a period of growth in the next few years, with an increase of between 6-7% before 2017. During the course of last year and moving into 2014, general costs for shipping have remained relatively stable. However, the market still has a fair amount of volatility and carriers have to increase their rates to achieve a more profitable and sustainable level. Fuel is one of the largest contributing factors in the rise and fall of costs. At the moment, this is not changing substantially and it should remain this way as long as there are no major conflicts amongst the oil-producing nations. One of the ways that shipping companies are looking to change their business model is through the development of strategic alliances. The first of these is set to launch this year. The P3 Network is an alliance between three of the biggest players in the industry, Maersk Line, CMA CGMH and Mediterranean Shipping Company. This was expected to come to fruition in the first quarter of the year, but most analysts are predicting that this will actually be towards the third quarter instead. In order to compete with the power of this group, other shipping companies will need to assess their alliances. The joint initiative will have greater powers to negotiate rates and reduce the problems of overcapacity. One of the key trends for 2014 will be the increased use of Transportation Management Systems (TMS). This enables companies to better manage the capacity on their routes, enabling goods to be routed in the most cost-effective manner. With improved planning systems in place, companies can buy wooden pallets in sufficient numbers, enabling the supply of goods to better meet expected demands. Overall, one of the biggest issues preventing the shipping industry from making significant improvements is that of oversupply. The sector needs to deal with this problem effectively before it can really move forward.